It’s mulberry season down here in South Florida. The bushes behind the house are covered with berries in every stage of development, from green to ripening red, to dark blue-black, to falling on the ground to be eaten by possums. Mulberries are messy. They’re much softer than blackberries, so picking them leaves your fingers looking like you just voted in an Iraqi election. They’re a pain to pick, too. They fall off the branch so easily, that while you’re grabbing one, a gentle brush will cause three more to fall on the ground. 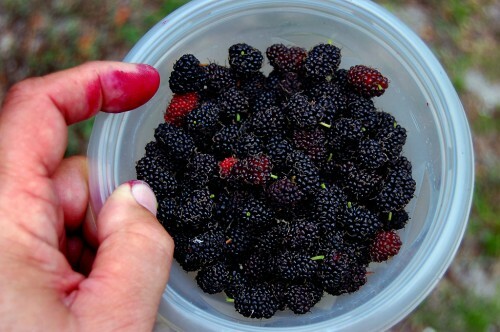 My foodie friend, Jan Norris, shares her mulberry experiences. Son Matt has equally prolific bushes behind his house. Some grow into huge trees, like the Hanging Tree in Jackson, MO. 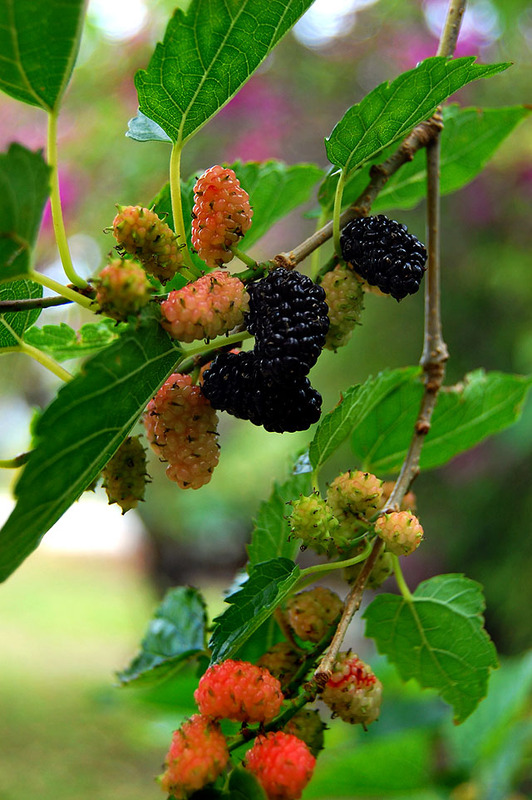 More info than I ever knew existed about mulberries. Next PostNext Flashlights for Bike Headlights?